Publisher: Cassidy & Greene, Inc. 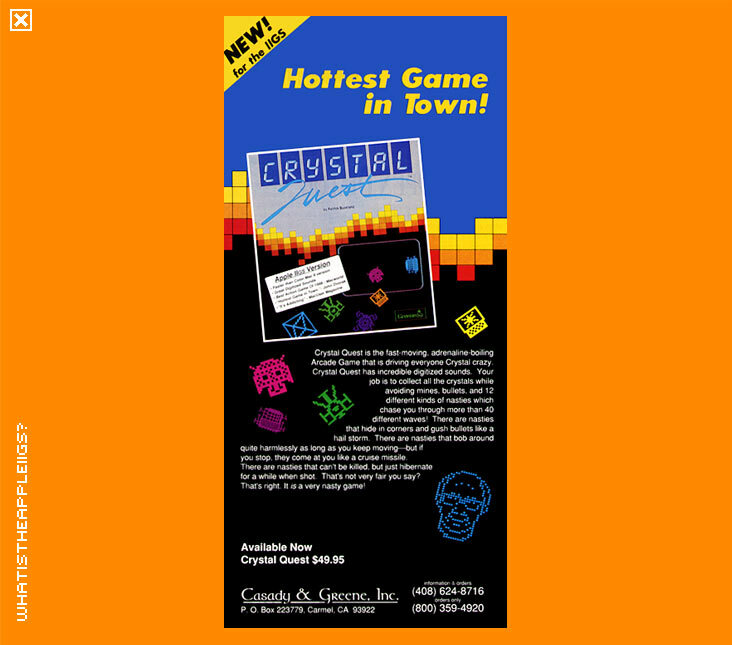 Crystal Quest was the very first game available in colour for the Macintosh and was converted by "Burger" Becky Heineman (formerly known as Bill Heineman) to the IIGS in 1989 and was released by the same publisher of the Mac version, Casady and Greene. 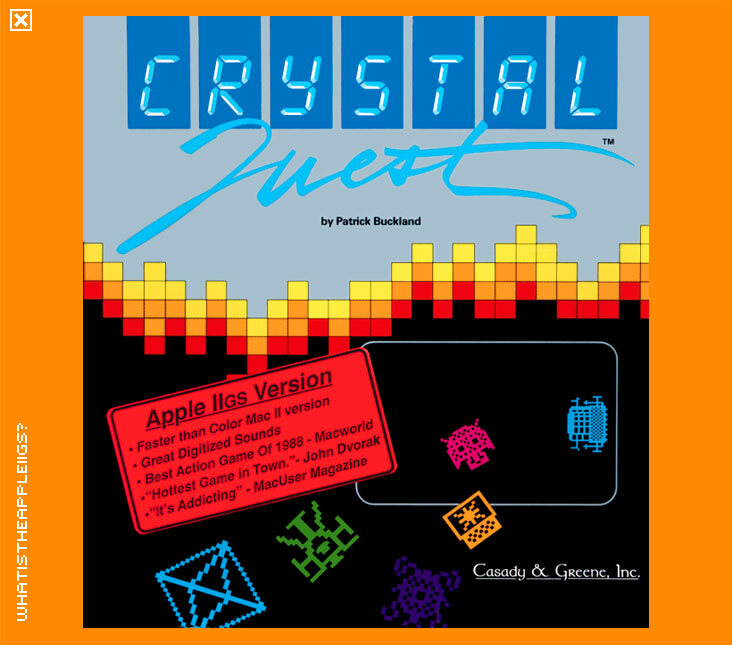 The game itself was designed by Patrick Buckland and a sequel was also made, Crystal Crazy, which only appeared on the Mac. Buckland was at the centre of much controversy in gaming circles in the late 90s as the designer of splatter fest game Carmageddon. Does Crystal Quest have a storyline? No! It would get in the way of the fun. All Crystal Quest involves is controlling your sphere with the mouse, collect the crystals and avoid or shoot the nasties (with the mouse button). Movement of your sphere isn't quite so easy however, as inertia affects its control. There are many different types of nasties, each of them with their own funky sound effects, and as the game progresses it becomes apparent they become much harder. More information can be found from the main menu. I believe I can say the IIGS version is better than the original Mac version. The graphics appear to be better defined and the end of level colour tunnel effect is much nicer on the IIGS. 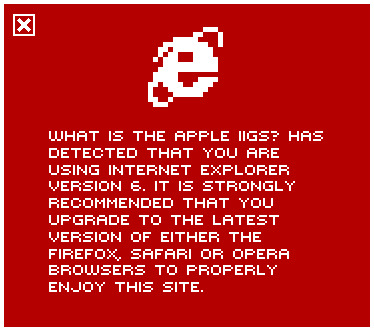 The IIGS version also boasted that it was faster, in colour, than running it on a Mac II. Says a lot for the programming skills of Burger Becky. By the way, the game is not copy protected as such. It will ask the question of you having legally purchased a copy. Fortunately for me, having bought a copy way back when, means I don't have to feel guilty when answering 'Yes'!